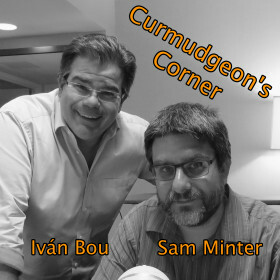 This week on Curmudgeon’s Corner, Sam and Ivan talk about the chaotic week that was. Donald Trump throwing grenades into the gun and trade policy debates, the mounting reports of corruption within the administration, and the usual, but seemingly intensifying, chaos within the White House staff itself. Oh, and Ivan caused some chaos himself by accidentally calling 911 from the airport. A fun filled show!